Raymond “Rusty” Hildebrand II of Pawleys Island died in his home on Monday, December 24, 2018. He was 64. Born in 1954, the son of Dorothy and Raymond Lyle Hildebrand, Rusty grew up in Swarthmore, PA and Stamford, CT. He attended the University of Miami then moved to Nashua, NH where he worked at a start-up computer company, then transferred to Santa Barbara, CA where he was employed as a software manager. He was married in 1984 to Dawn Cannon and had two children. 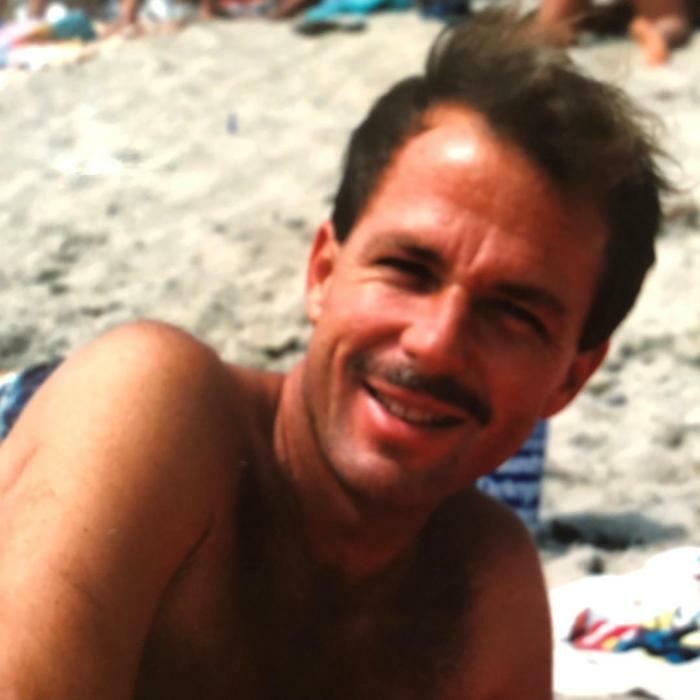 He later divorced and moved to Pawleys Island in 1993. Rusty free-lanced as a computer technician while living with his mother, also a resident of Pawleys. He liked walking his dog along the backroads of the island and enjoyed, as was quite knowledgeable about, classic and obscure movies. In fact, to many of us, Rusty was a “walking encyclopedia” about everything. He was a terrific dancer, liked animals of all kinds, and his gentle presence will be missed greatly by his family and friends. He is survived by his sister, Hollis Hildebrand- Mills, daughters, Nicole Sue Hildebrand and Allison Page Hildebrand, grandchildren, Jamie and Jenna Allison Santiago, and niece, Lyla Francis Mills. Memorials may be made to The Beach Humane Society and SPCA. Contact Goldfinch Funeral Home for more information.